Transportation Security Administration Security Officer Nyamsi Tchapleu looks at images created by a "backscatter" scanner during a demonstration at the Transportation Security Administration's Systems Integration Facility at Ronald Reagan National Airport December 30, 2009 in Arlington, Virginia. Backscatter technology uses low level x-rays to create a two-sided image. The body scanners, increasingly found in airports, courthouses and other places where security is high, use an assortment of technologies. These include millimeter wave scanners (shown below) — in which the subject is harmlessly pelted with extremely high frequency radio waves which reflect a picture back to the device — and backscatter X-ray (shown above) — which measures low-powered reflective X-rays to produce clearer body shots, shots that can reveal alarmingly precise anatomical detail. According to CNET, the U.S. Marshals Service admitted this week that it had saved thousands of images that had been recorded from a security checkpoint in a Florida courthouse. The revelation comes at a tense time. Two weeks ago, when Homeland Security Secretary Janet Napolitano said such scanners would appear in every major airport, privacy advocates such as the Electronic Privacy Information Center in Washington D.C. filed a lawsuit to stop the device rollout. The reason? Because the devices were "designed and deployed in a way that allows the images to be routinely stored and recorded," EPIC executive director Marc Rotenberg told CNET, adding that this "is exactly what the Marshals Service is doing." As CNET's Declan McCullagh explains, it's the mystery of the devices' potential that is most unnerving: "This trickle of disclosures about the true capabilities of body scanners — and how they're being used in practice — is probably what alarms privacy advocates more than anything else," he wrote. 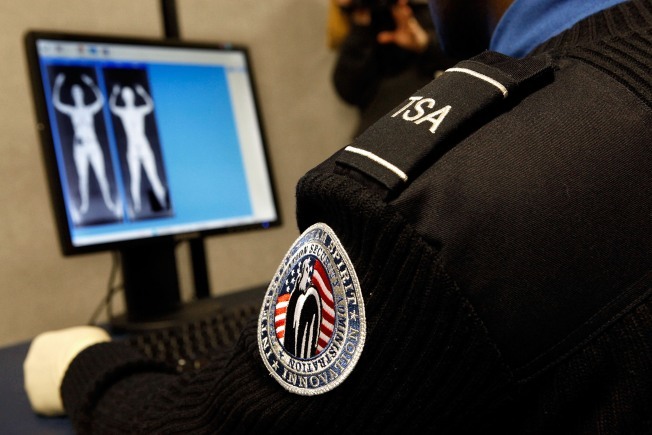 The TSA maintains that body scanning is "constitutional" and the CNET report notes that while the machines are built to "allow exporting of image data in real time" and provide networked "high-speed transfer of image data," the system are built with filters to "protect the identity, modesty, and privacy of the passenger."